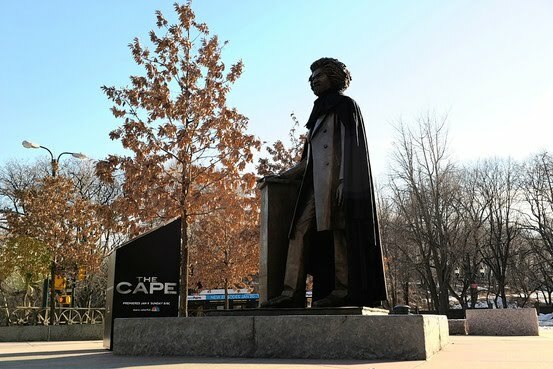 above: The James Stranahan statue donning NBC's promotional "cape"
As part of a marketing push for the new NBC series "The Cape" (two-hour premiere tonight, Sunday, January 9, 9-11p.m. 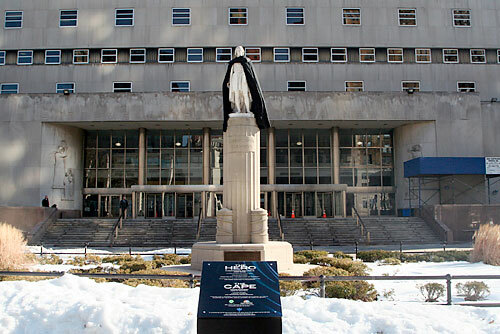 ET), 30 New York public statues and monuments have been cloaked in black fabric capes accompanied by a temporary kiosk or plaque that gives a brief mention of the figure's history along with the story of The Cape (Vince Faraday, a valiant cop framed for murder played by David Lyons) - linking the two "heroes". 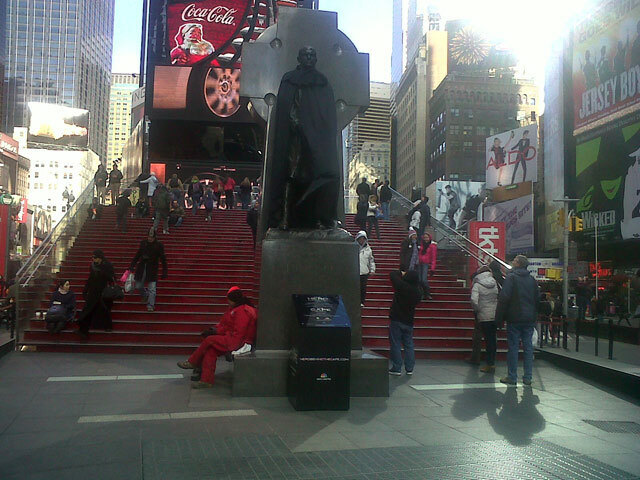 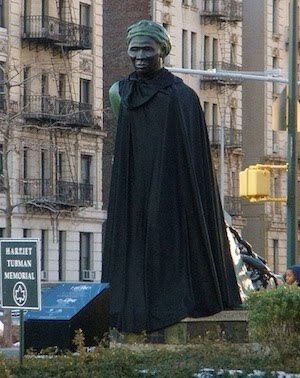 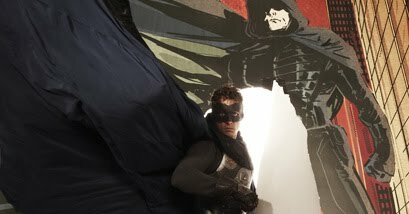 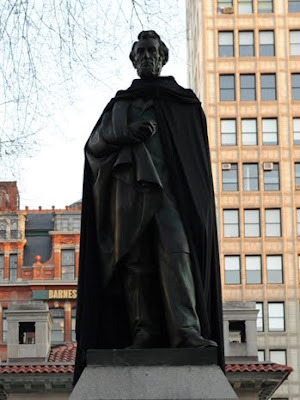 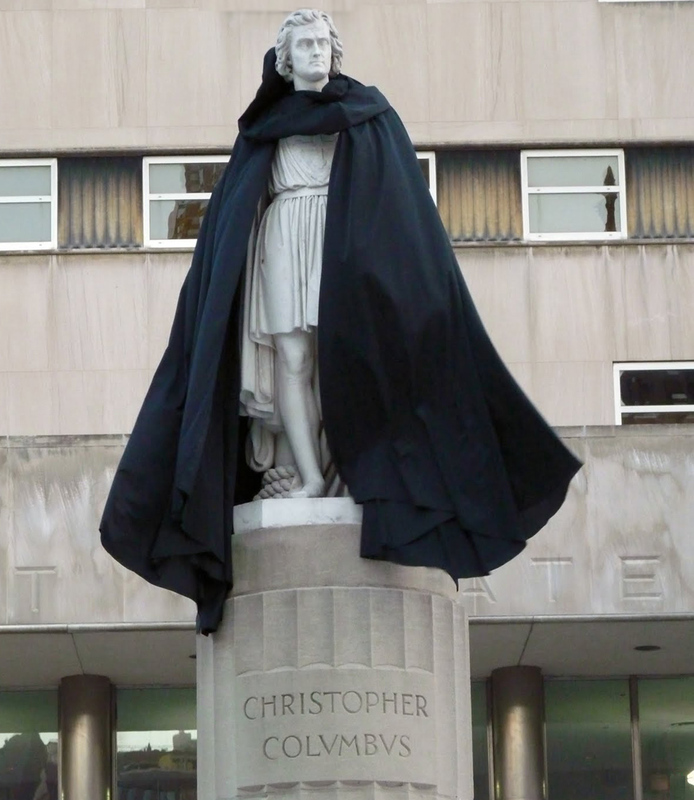 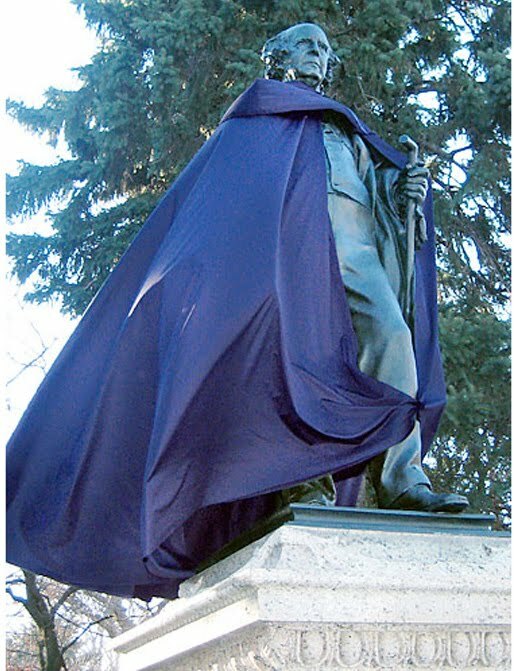 The blue-black capes began appearing on statues all over the city on Januaray 5th. 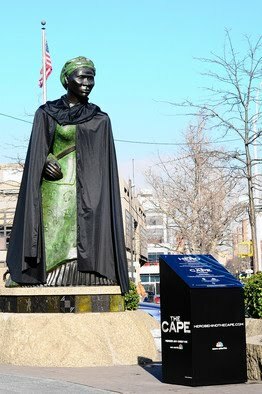 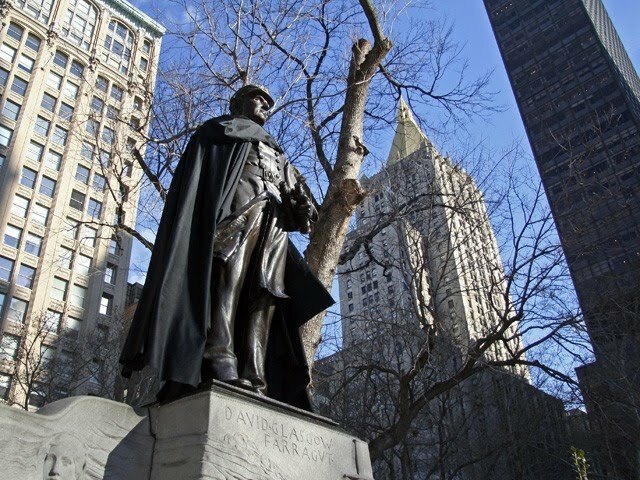 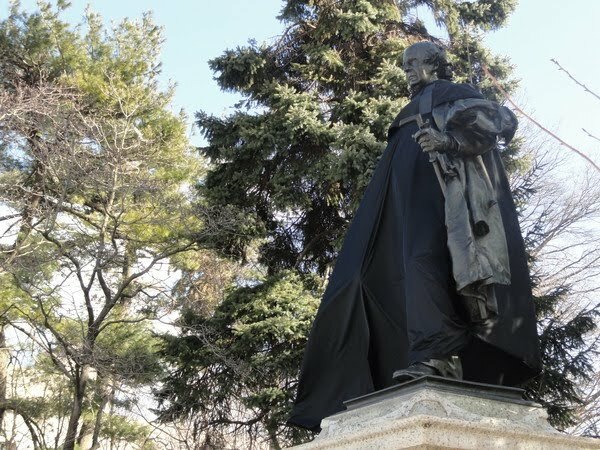 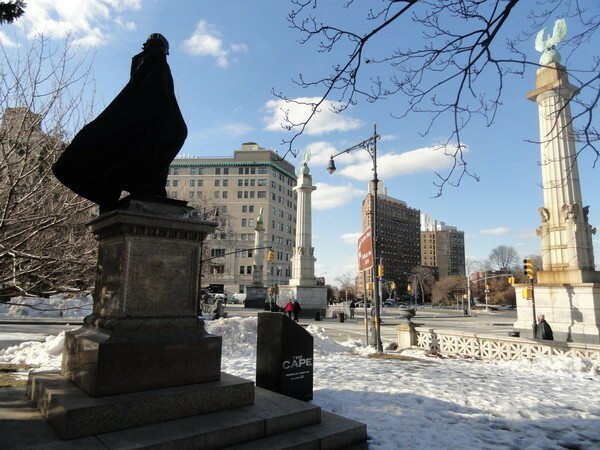 City Parks Department officials allowed NBC executives to create hype for "The Cape" by draping the frocks on sculptures of historic figures until Sunday in exchange for a $120,000 donation to maintain public art. 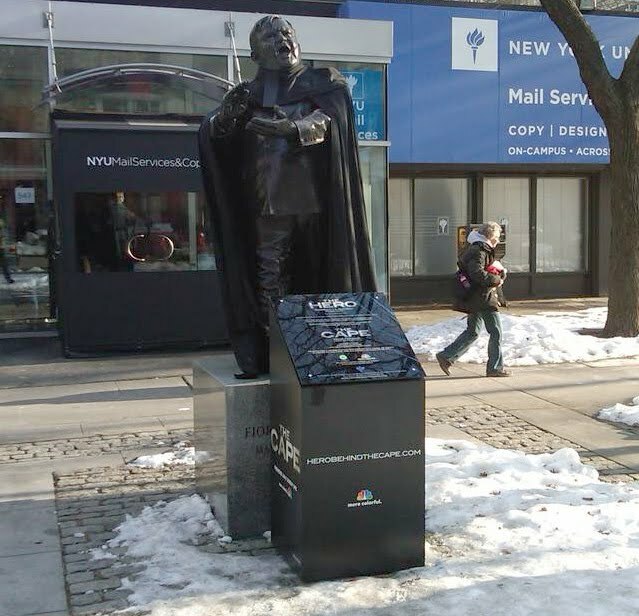 NBC's interactive map tells you which statues have been cloaked. 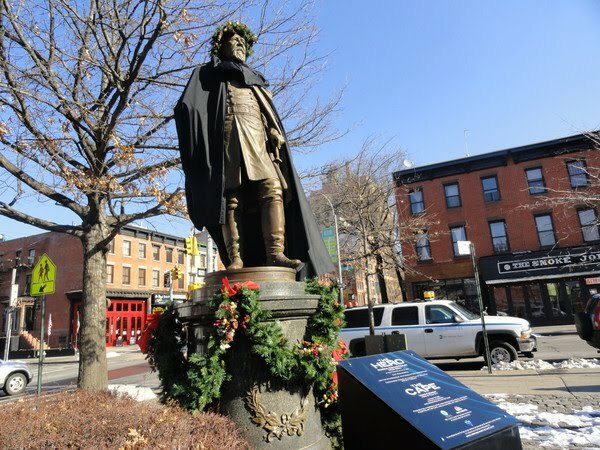 Vickie Karp, Director of Public Information for New York City Parks & Recreation, says "The new NBC series is a novel way to remind even the most jaded New Yorker that heroes are all around us." 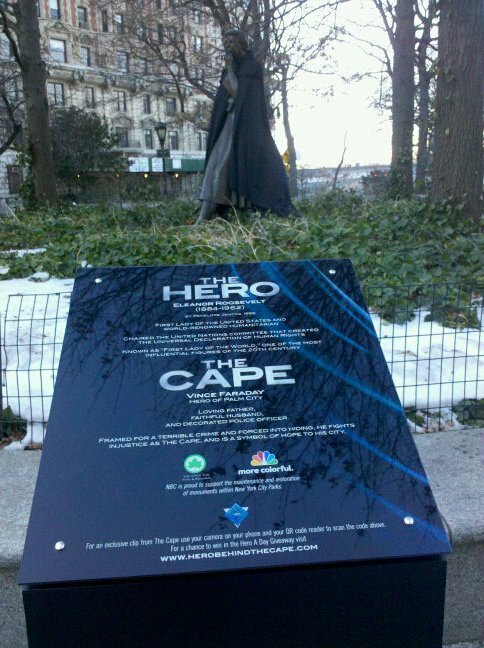 Statue visitors will also be able to enter the “Hero Behind the Cape” giveaway contest using FourSquare and Twitter. 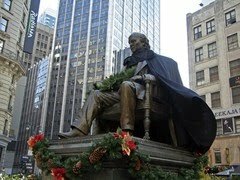 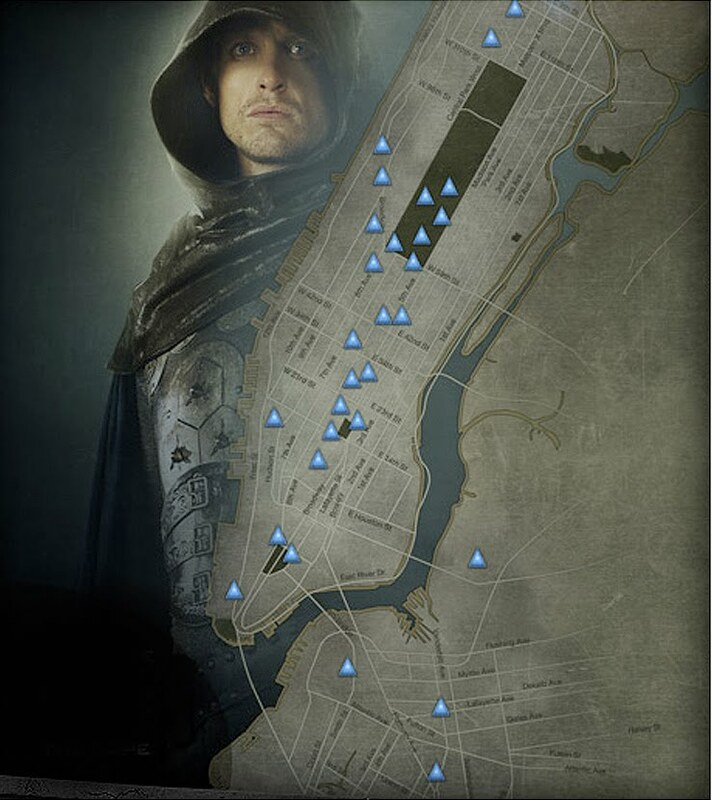 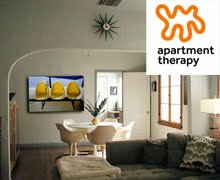 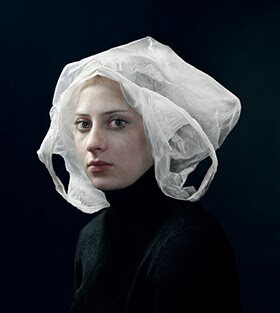 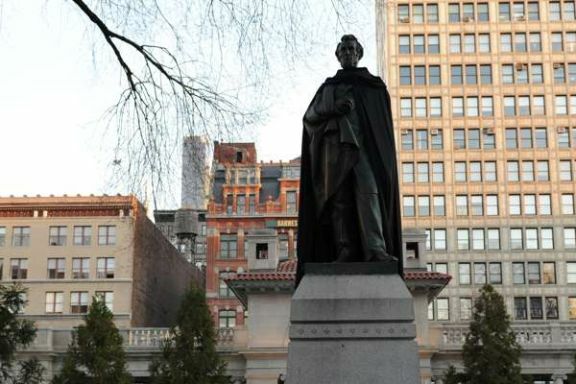 Participants can enter the sweepstakes by visiting any one of the 30 caped statues all over New York City and checking in via their FourSquare account. 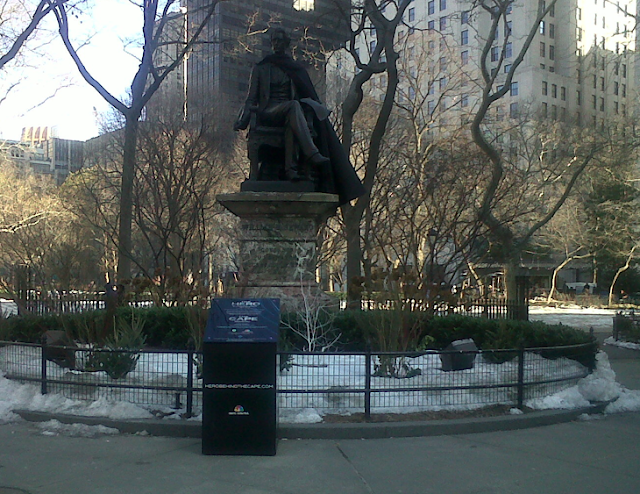 Also, visitors can enter by taking a photo of themselves at any of the statue locations and posting their photo to Twitter. 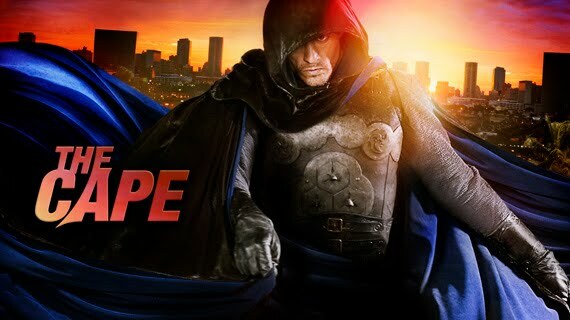 Users will simply need to direct message the official Twitter handle (www.twitter.com/NBCTheCape) or use the hashtag #herobehindthecape when they post their picture. 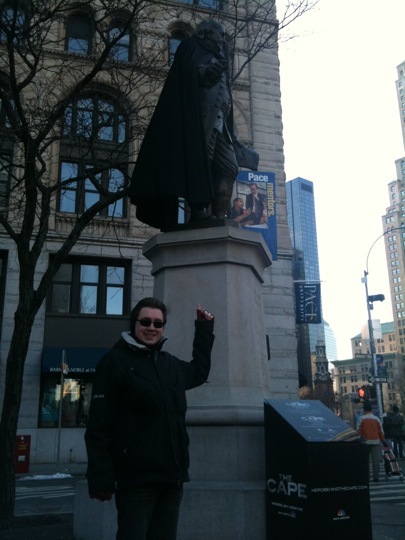 You'll have a tough time beating Pete Labrozzi, though. 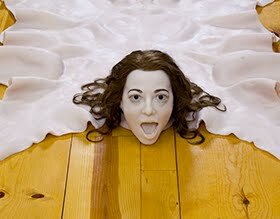 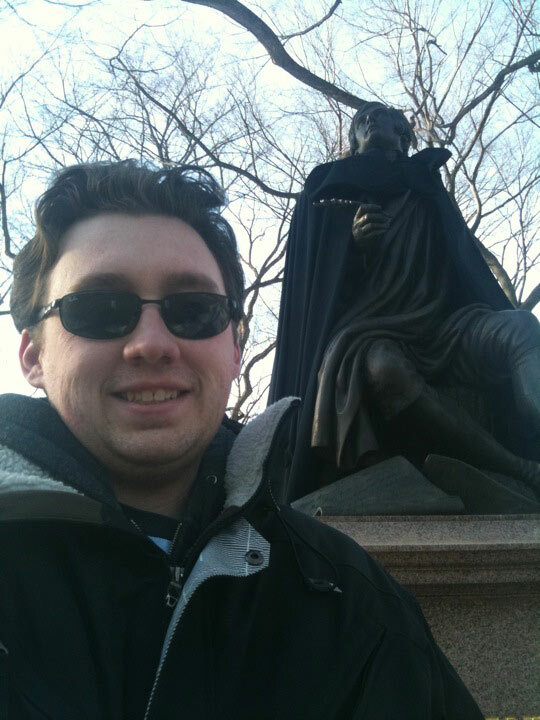 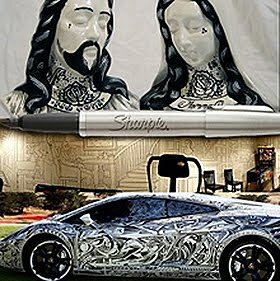 above: Pete Labrozzi has been diligently posting images of himself in front of the statues for the past few days. 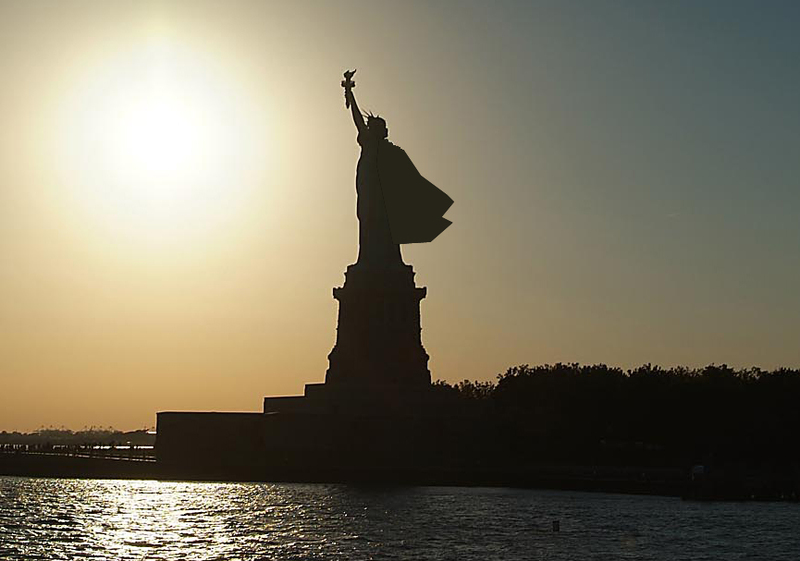 Of course, had they cloaked Lady Liberty, I'd reeeeally be impressed.